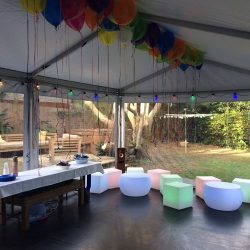 Hiring a marquee in Sydney is the perfect solution when celebrating your party, especially with lots of people. 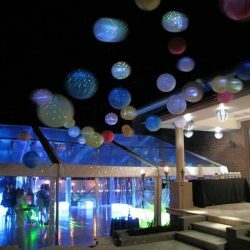 Home event marquee hire for parties at home will provide a quick, affordable and simple solution for your guests instead of cramping a large group of people in your home. 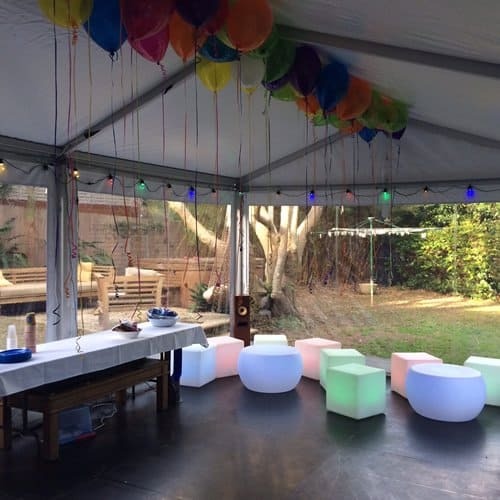 With the weather in Sydney, hiring a marquee will provide your home party guests with the optimum amount of shade without needing to do the setup process yourself. 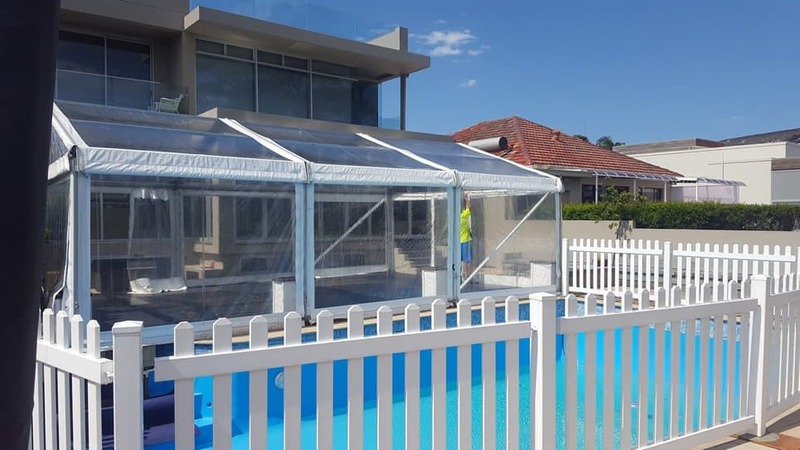 It also gives you the peace of mind nothing in your home will be damaged due to the large number of people taking up the space and that you have it covered if we get a thunderstorm or downpour. Our marquee can be used on all surfaces and in all types of weather, whether it be raining or sunny. 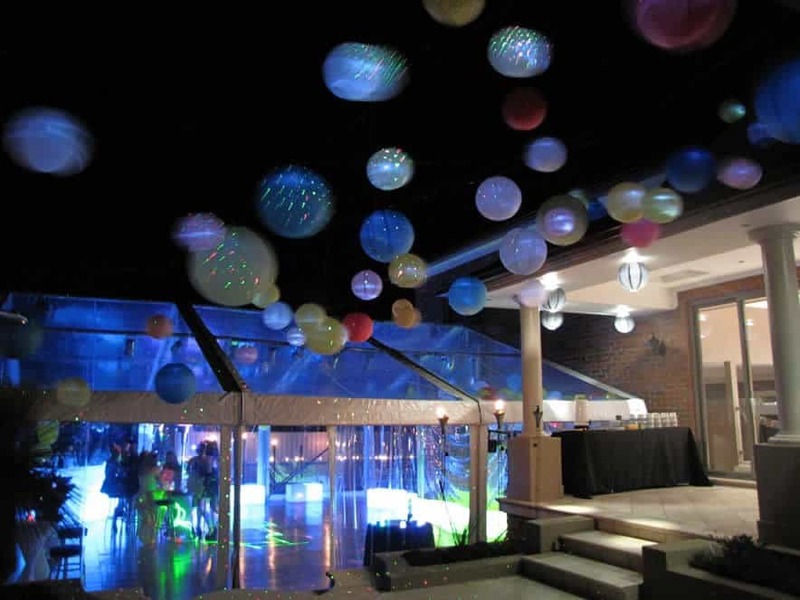 Given the different sizes and shapes of Sydney homes, we offer different types and styles of home event marquee hire. This will allow you to choose one to suit your needs, such as the size, shape, and design – and we can help you with that by providing help and advice. We can offer simple shelters and gazebos (pop up marquees) for parties at home for smaller groups. We can even hire floors to go over your swimming pool to give you more space. 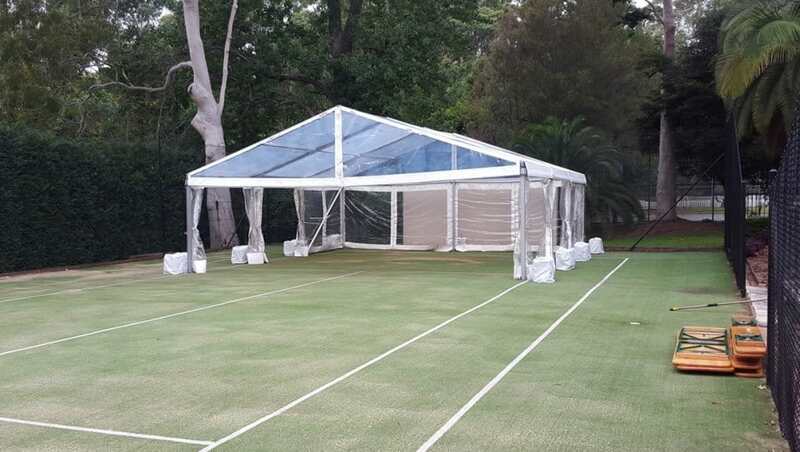 Here are some marquees, we have found to be well sized for backyard or at home events. We have other sizes if these are not suitable. You can find the full marquee hire range here. 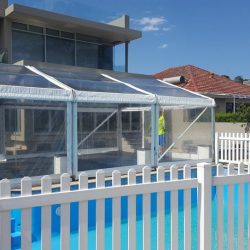 We can also come out to your Sydney property to assess the location and recommend the best solution for you. If you are planning a larger event, we can also offer framed Hoecker brand marquees for events such as wedding and birthday parties, or other events with a larger group of people to be tended to. Marquees are suitable for stand up events or for seated events or a combination of both standing areas and seated areas. 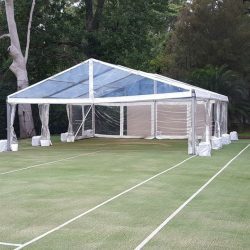 The process of setting up a marquee is completed by us on site, and you won’t need to worry about setting it up or taking it down. 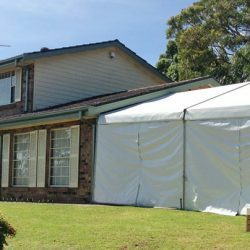 If needed, multiple marquees can be hired in circumstances to provide more shelter for the party guests. 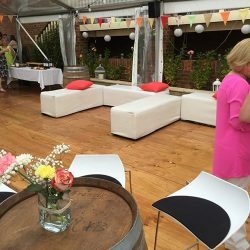 You can also hire other inclusions such as lighting, chairs, stages, dance floors, crockery, tables, and everything else you need for your guests to enjoy their time. To find out more, contact us or call us on 02 9533 4429 for help and an obligation free quote. 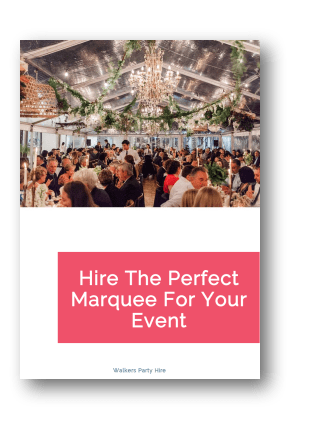 Download our free Marquee Hire Checklist so you can plan an awesome event. Great. We will send you an email with the link to download the checklist.